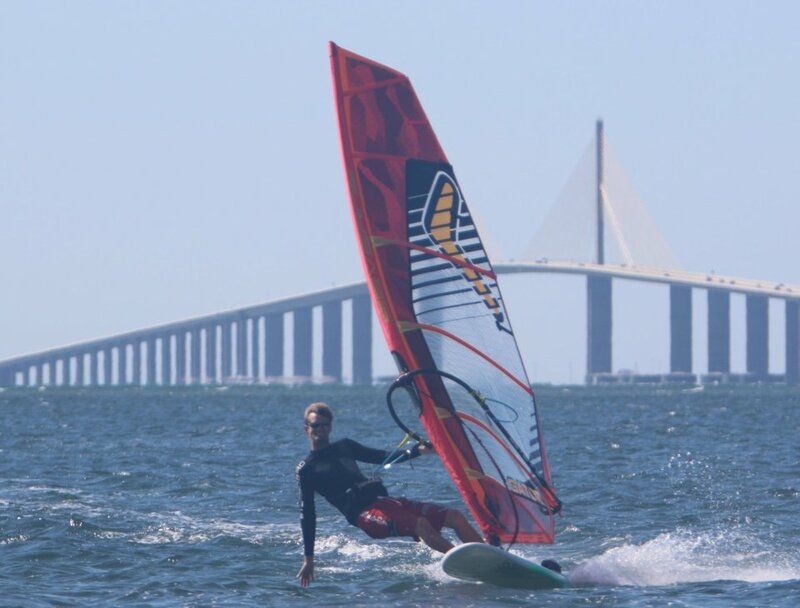 If you are traveling to the Tampa/St Petersburg area and are hoping to windsurf while you are here, you are in luck! We have top notch gear for every ability and a wide range of equipment so you will have the right gear for your ability, your size and the conditions. 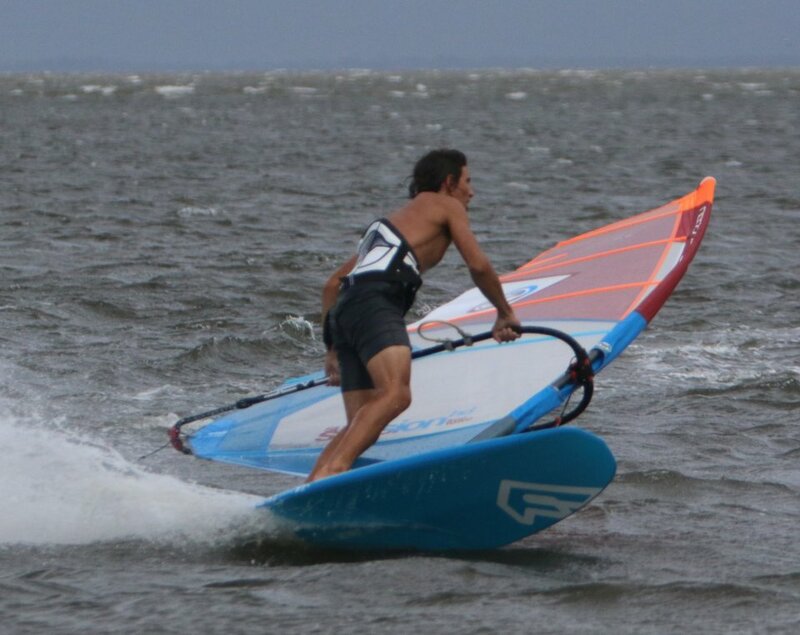 If you want to go light wind cruising on an Exocet Kona with a 8.5m sail, rip it up on a big wind day with a 4.5m sail and freestyle board or check out the wildlife on a no wind day with a SUP you’ve come to the right place. Rentals are set up for you on-site, so no need to worry about transporting gear and setting it up. Our trailer of rental gear heads to different sites depending on the wind speed and direction, tide, and your ability. 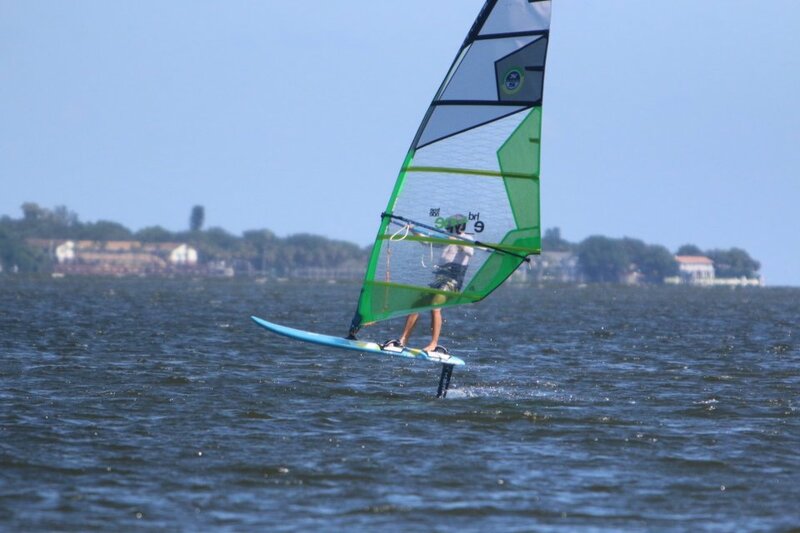 What is the windsurfing like in St Pete Beach? We can windsurf all year, but our windy season is generally mid-October through mid-May, with February, March, and April being the most reliable with cold-front driven winds. Summer months bring light afternoon sea breezes (generally less than 12 mph). The water temperature can vary quite a bit, from temps in the low 60s to the 80s. In winter months you may want to bring a wetsuit (or rent one from us). Our local sailing sites include bay side, flat-water locations with shallow water that are perfect for blasting speed runs or learning new skills or gulf-side, wavy conditions for more advanced sailors. Lessons are available for beginning and advanced skills too. Click here for info on lessons! Our modern sails are rigged on at least 75% carbon masts and carbon booms. Bring your own harness, or try one of our Dakine or Ion waist harnesses. 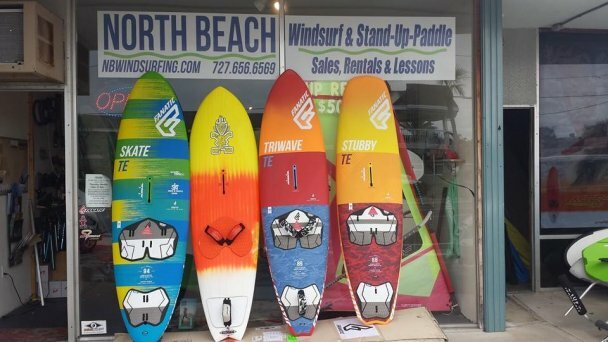 With boards from Fanatic, Starboard, Kona, and Bic and sails from Severne and North - we are sure to have something that will work for you! 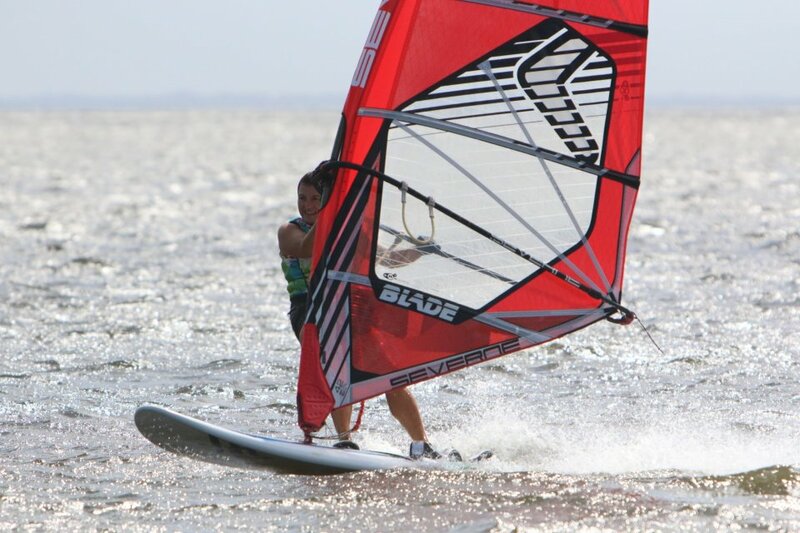 We offer foiling rentals and lessons too! We have a selection of foil gear from Bic, Starboard, and Slingshot so you can get the feel of flying in no time. -Fanatic Freewaves, Freewave STB's, Skates (in team edition of course), Geckos, TriWave 89, and the Lightwind 159. *If you try something you love from our fleet and you want to call it your own, we will be selling our demo gear in May. We can also set you up with new gear as well! Our retail store is located on Gulf Blvd., the main strip of St. Pete Beach close to all the major hotels. Our rental gear trailer allows us to rent windsurfing gear at a variety of locations without you having to transport it or rig! Stop by the shop or give us a call to set up rentals.